Special guest speaker, TBD!!! Co-sponsored by the NorCal Community Resilience Network and the East Bay Permaculture Guild. Over a delicious potluck dinner, we'll share briefly about the NorCal Network's exciting work to cross-pollinate with the movers and shakers of Bay Area social and environmental justice movements for its upcoming February launch. With good people, good food, and good work, this is a celebration you won't want to miss! Note: While this is not a cohousing-specific gathering, we know lots of EBCOHO members are interested in co-creating natural environments for living that include sustainable food production, and you can find many allies for building community at gatherings like this. And while permaculture is stereotypically about plants and animals, don't forget that it ultimately includes energy and social layers, and cohousing can be a key building block in sustainable community living. Join area permies at our regional community-organizing center, EBCOHO partner a PLACE for Sustainable Living in North Oakland on the second Monday of the month for an East Bay Permaculture Guild monthly meeting. 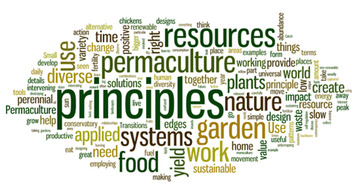 Please bring your questions, announcements, ideas, stories, and visions of how permaculture can help us bridge through the transition as we co-create a more permanent culture based on Earth Care, People Care and Fair Share. If possible please bring a dish for the potluck, produce or seeds to share. Please forward this invitation to anyone who might be interested in attending. Donations to help support PLACE are always appreciated. 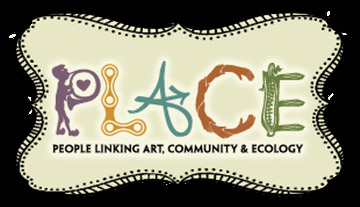 About PLACE (People Linking Art, Community and Ecology): We foster sustainable living practices through art, community and ecology. We do this by way of educational workshops and exhibits, outreach programs, partnerships, events and public placemaking.